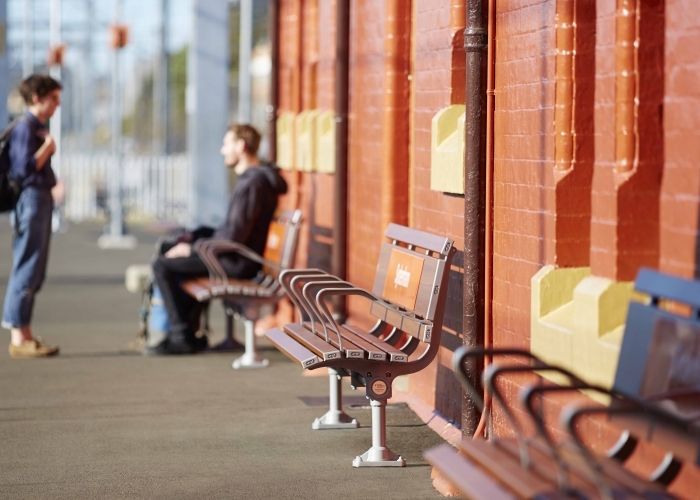 PLACE Design Group chose to use the seats and setting from Street Furniture Australia’s Mall Range. Potts Hill, in Sydney’s south-west, is a Landcom development. 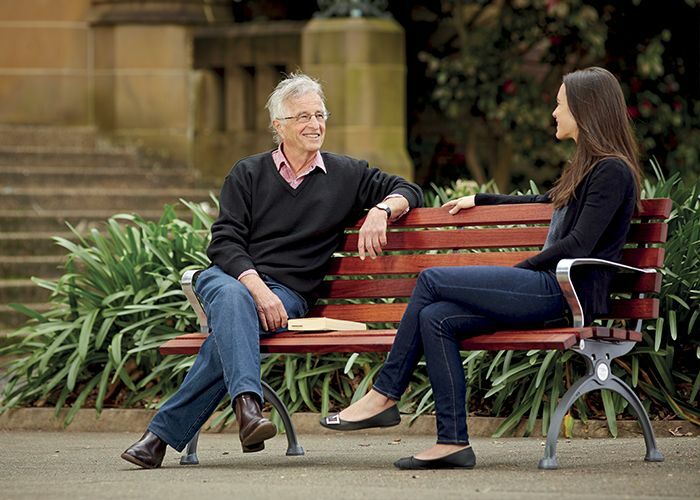 It has a feeling of peace, security and quality living while being close to many well known facilities. 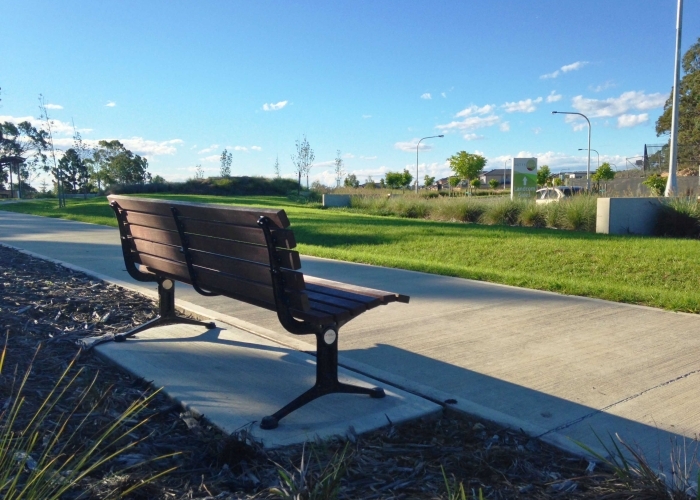 Installed beautifully by Perfection Landscape Services next to walking and cycle paths, parks and open community spaces, this sturdy and modern outdoor furniture range will serve well the young community of Potts Hill for years to come. 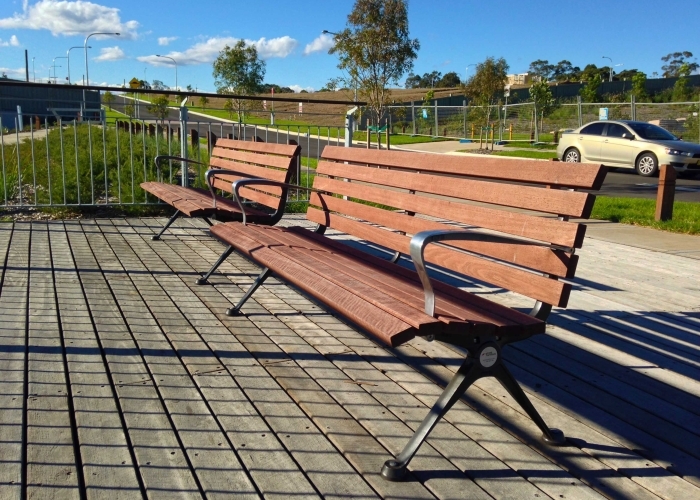 Sturdy and modern, this outdoor furniture range will serve well the young community of Potts Hill for years to come. One Central Park is a landmark shopping and residential precinct in Sydney’s CBD designed by the inspiring French architect Jean Nouvel of Ateliers and PTW Architects. 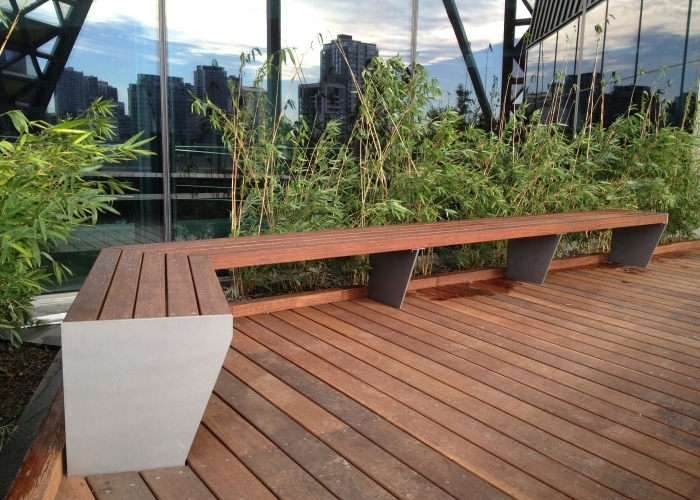 Street Furniture Australia was privileged to work with Nouvel and a team from ASPECT-OCULUS to furnish the Sky Garden. 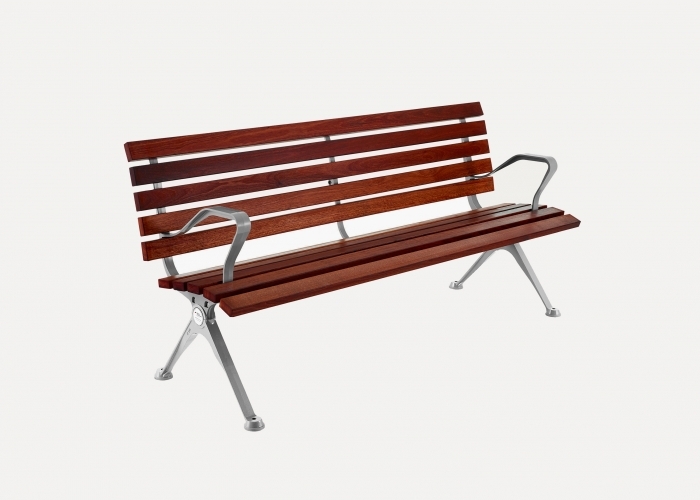 Natural wood recliner seats, designed within an organic ethos, extend from the hanging gardens. The recliners add to the luxury feel of the Sky Garden, which offers spectacular city views. 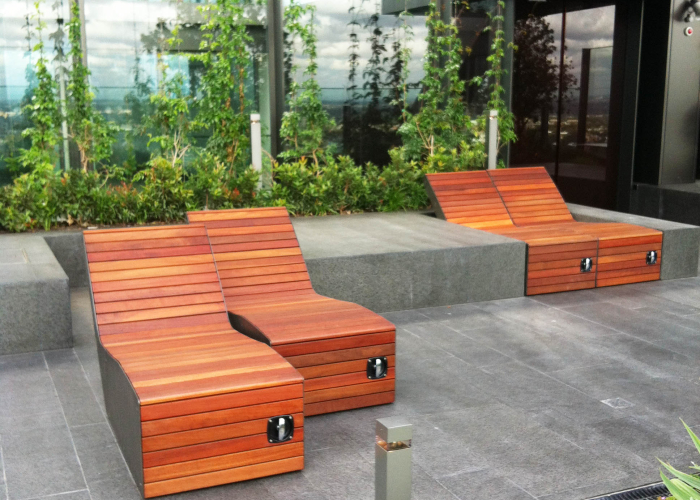 The NAB head office in Melbourne features custom furniture in a tranquil rooftop garden, designed by Hassell Landscape Architects. 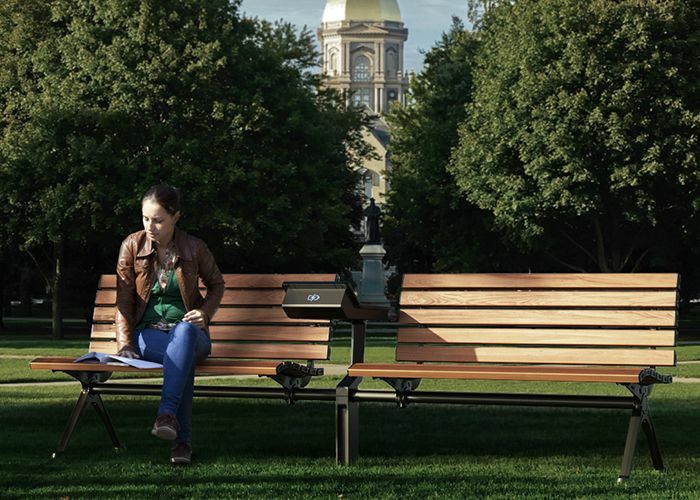 The smart roof design was a contributing factor to the building achieving a 5-star green rating. The recently completed building is a new mixed-use development that is becoming the gateway between the CBD and Docklands. This new corporate hub is owned by Cbus, who commissioned Hassell for the design. The external facade is based on a three-sided kite design implemented throughout the whole building and the landscaped rooftop. 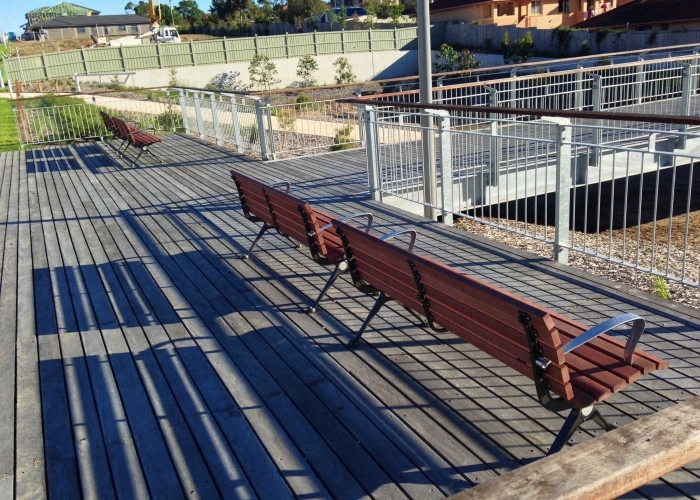 The landscape contractor Australian Native Landscapes approached Street Furniture Australia to create the screens and seating to match the kite-style design. The screens are completely custom products made of mesh wiring and stainless steel. Madison Heights, a Metro Property Development, is a 30-level residential apartment building in Brisbane’s Bowen Hills. 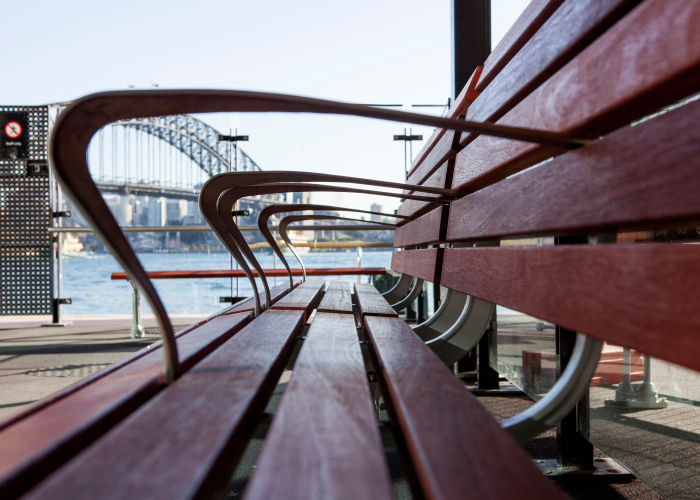 Street Furniture Australia was commissioned by Dig-It! 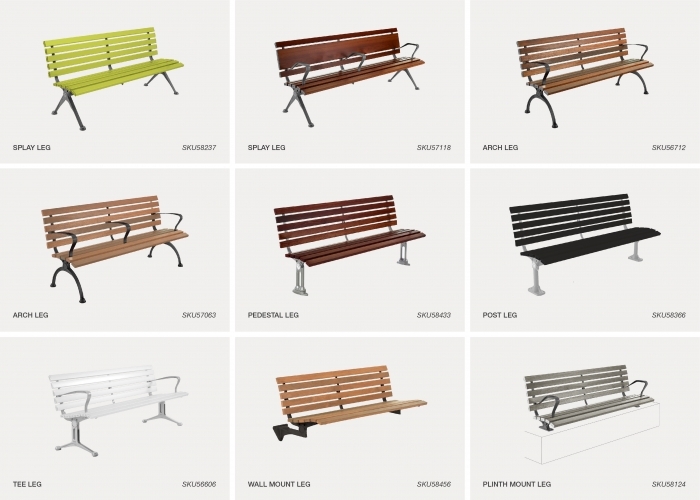 Landscapes to supply 16 Key Bike Stands on the ground level of the new complex. 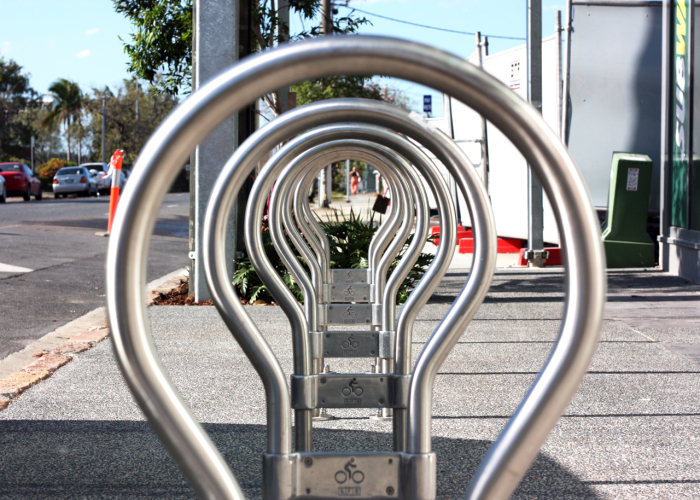 The provision of bike stands allows residents to easily lock up their bikes after making the 2.5-kilometre commute to and from the CBD.